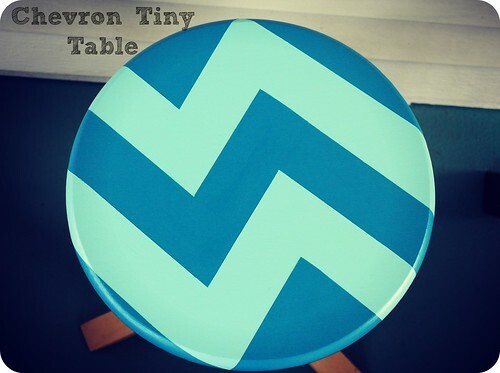 chevron table, originally uploaded by ordinarymoment. M used his skills to paint us this tiny table for our icy beverages while relaxing on the porch. He took off the old tabletop from an Ikea table I had, bought an inexpensive table round from Menard’s, then used our leftover paint from the map project to paint a fun, bold pattern. Can’t wait till next season when we can spend more time in our new hang out spot.